This is not a duplicate of Keyboard shortcut Ctrl+K in comments conflicts with latest Firefox version because that only mentions comments, not posts. 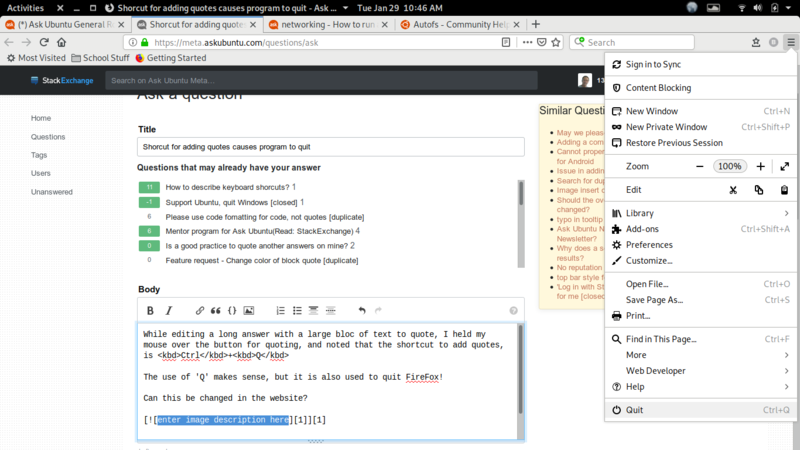 The use of 'Q' makes sense, but it is also used to quit at least Firefox and Vivaldi. Please note that this is not a question about adding comments and formatting of comments - this is in the main edit box, where questions are asked or answered. 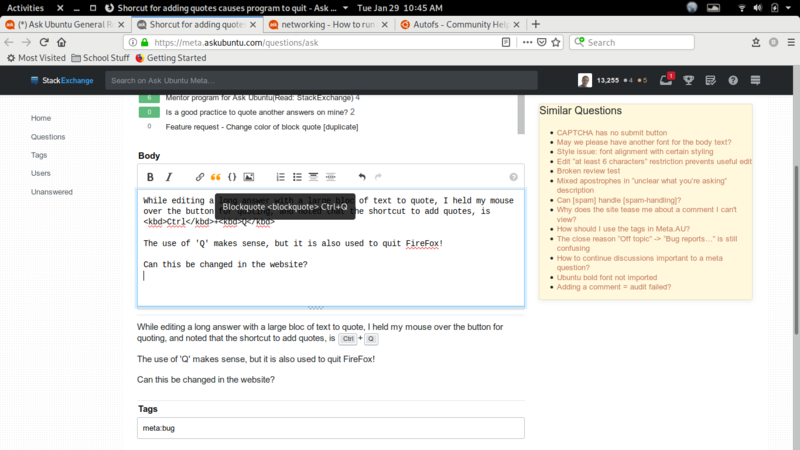 Browse other questions tagged support firefox keyboard-shortcuts editing-help .